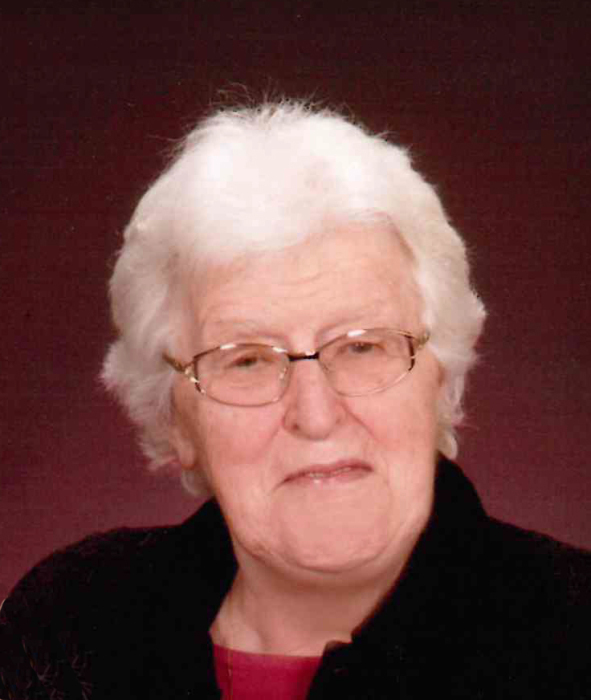 Ruth Miller, 93, Hazen, ND, passed away August 19, 2018 at the Knife River Care Center, Beulah. Services will be held at 11:00 AM CDT on Friday, August 24, 2018 at Peace Lutheran Church, Hazen with Pastor Thomas Stenzel and Pastor Walt Wolff officiating. Burial will follow at St. Peter’s Lutheran Cemetery, Hazen. Visitation will be held on Thursday, August 23, 2018 from 5:00-7:00 PM CDT at Barbot Funeral Home, Hazen. Ruth was born on September 30, 1924 to Philip and Katherine (Oster) Hornbacher north of Hazen on the family farm. She grew up and attended country school at Krem School. She married Harold Miller on November 29, 1942 at her home. The couple lived with Ruth’s parents for a short time before moving to the Frederick Miller farm. A few years later Ruth and Harold moved to the Rudolph Miller farm which is where they made their home and raised their children Carolyn, Marian, George, Joyce and Max. Ruth was an active member of Homemakers, 4-H, Farmers Union, and the Gideons Auxillary. She was a Sunday school teacher for many years and enjoyed attending Bible study with the Esther circle. She liked to cook, bake and garden. Ruth was a lady that wore many hats. She spent a lot of time helping with farm chores, as well as taking care of things at home. She would open her home to family whenever they needed her, in particular her nieces and nephews. Ruth is survived by her daughter, Carolyn (Don) Feldman of Palermo, ND; son-in-law, Alvin Will of Elgin, ND; daughter-in-law, Carol Miller of Axtell, TX; daughter, Joyce (Jerry) Bloms of Minot, ND; son, Max (Laurie) Miller of Hazen, ND; 15 grandchildren; 18 great-grandchildren; one brother-in-law, Leslie (Jerine) Miller of Hazen, ND; two sisters-in-law, Alice (Marlin) Bates of Burnsville, MN and Ida Miller of New Salem, ND; and many nieces and nephews. She was preceded in death by her husband, Harold; her parents; one daughter, Marian; one son, George; two great-grandchildren, Abby and Libby Bieri; and one sister-in-law, Cynthia Miller.